This post was inspired by the article Patient Advocates: Flies in the Ointment of Evidenced Based Care by Jessie Gruman at Health Affairs Blog. Patient advocacy and evidenced-based medicine are both intimately entwined with several matters in rheumatological care, but first a word about flies. A tug of war between medical evidence and advocates? Jessie’s post considers the clash between 1) patient advocates who promote exceptional care for all victims of a disease, and 2) the conflicting ideal of reliance upon established scientific evidence by those who try to fairly administer health care policy or health care itself. “In past decades, the aims of advocates have frequently been at cross purposes with those of government officials charged with balancing a national research agenda.” At hand was the US Food and Drug Administration’s withdrawal of its approval for Avastin as treatment of advanced breast cancer and the fever pitch of emotion that came with it. Did you watch any of the coverage? I agree that media tend to focus on the emotional side of issues like Avastin. Yet, the last comment by Steven Walker made a point that is significant with regard to RA: Sub-types of the disease and genetic differences make one-size-fits-all treatment impossible. Unfortunately, unlike cancer, RA doesn’t even have any of its sub-types classified yet. All RA treatment today is still trial-and-error, though evidence that subtypes do exist has begun to trickle out. Also in the news are the cancer-patient 9/11 World Trade Center (WTC) responders. Patient groups representing first responders from 9/11/01 are convinced that there have been an abnormally high number of cancers in previously healthy people. Several forums are full of anecdotal evidence. They believe that exposure to toxins such as asbestos in airborne debris contributed to their cancers. However, a committee who manages funds for health care claims of 9/11 WTC responders won’t add cancer to the list of compensated conditions because they don’t have evidence that WTC debris causes cancer. The list for continued coverage does include asthma, acid reflux, carpel tunnel syndrome, and sleep apnea which some 9/11 cancer patients point out are illnesses which are far less costly to treat than cancer. However, a study has found “very little” evidence that exposure at Ground Zero caused cancer. Evidence outweighs hunches and sympathies. But is it sufficient? “‘Insufficient evidence exists at this time to propose a rule to add cancer, or a certain type of cancer,’ to the list of diseases that qualify for aid under the James Zadroga 9/11 Health and Compensation Act, the report said. The report said only one peer-reviewed article was published on the subject in 2009 and two others were based on models to estimate the risk of cancer. ‘These limitations in the exposure assessment literature make scientific analysis of a causal association between exposure and health effects, such as cancer, quite challenging,’ it said” (Associated Press). There is not enough evidence that the WTC debris caused cancer, but there turns out to be very little evidence period. How often are people exposed to similar events in order that we might study what they cause? One title summed the dilemma perfectly: 9/11 Cancer Study Pits Scientists Against First Responders. At least that’s how it seems. Judgment is always required to decide whether particular evidence pertains to a situation. Data can certainly be incomplete. Or evidence can be misunderstood. Ask any judge. As science advances and more facts are exposed, positions have to change with them. That’s why we wash our hands to fight infection instead of using leeches. Yet we don’t always know what we don’t know. If only we could wrap the golden lasso of Wonder Woman around the evidence to make it tell the truth. Turning to rheumatology, consider the Pyramid treatment scheme (more recently called the Step-up Approach) used by some rheumatologists who believe that they are either conserving resources for the good of the system or shielding patients from harmful side effects. Treatment is delayed while doctors wait for evidence of permanent damage. But what of the evidence demonstrating that Rheumatoid disease may have a narrow treatment window in which treatment response is more likely, if applied aggressively enough? Meting out care based upon evidence should require the considerable proof of its validity that we don’t have with RA. I could write all night long about the problems with establishing evidence as it relates to RA diagnosis, treatment, and monitoring of unique patients. In large part, the problem is due to the dearth of research related to actual effects and consequences of the disease in patients. With RA, some evidence is inadequate and its application flawed; there has been little correlation between genetic data, physical symptoms, and blood indicators. There is no definitive RA test. Tests to measure RA activity are inadequate. Imaging tests like ultrasound or nuclear bone scans have high error rates because they’re entirely user dependent. Patients and doctors frequently appraise disease activity differently. Evidence-based medicine puts a burden of proof on RA patients that defies logic. How does one prove symptoms such as pain, stiffness, and fatigue? Patients resort to photographing swelling because their word is not sufficient, but photos are sometimes discounted. Rheumatologists like Dr. Ted Pincus who investigate assessment of patient index data and recognize patient outcome measures as scientific evidence become heroes to patients who need accurate assessment and effective treatment to fight a disease that can cause disability or lead to early death. In the next few years, if purposeful correlations can be established with tests like the new Vectra DA test, they may become significant in RA treatment. On a distant horizon we look forward to targeted therapies. Meanwhile, some doctors borrow principles from endocrinology, where blood tests provide realistic measurements of disease activity or treatment effectiveness. However, blood tests commonly used to measure RA systematically underscore (or overscore) disease activity at a rate over 200%. Why do I get so many letters from patients like this: “Why are my symptoms worse when my rheumatologist says my labs show the disease is in remission?” The reason is that there aren’t any lab tests that can show any such thing, yet. 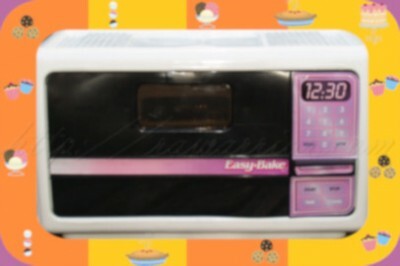 When it comes to RA, I’m wondering whether “Evidence- based medicine” becomes the “Easy-bake oven” approach (not quite real). Postblog: As this was being posted, an Arthritis Research and Therapy editorial was published recommending monitoring of immunogenicity to RA treatments. 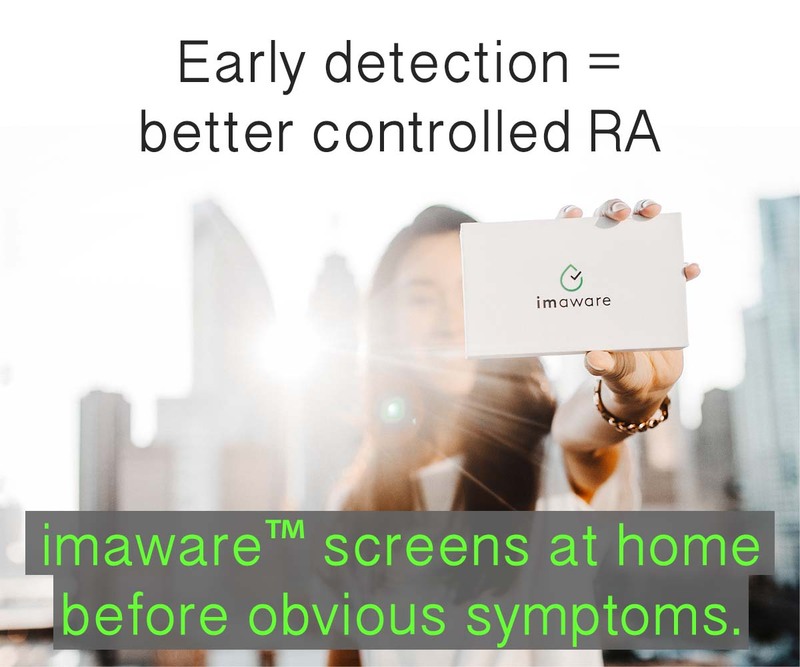 Methods for such monitoring are not yet widely available, but this would represent a good step toward the pertinent use of evidence in RA treatment. Patients often become immune to treatments and some are told their failed treatment response proves they never had RA. Evidence says otherwise. All I can say is we are a bunch of lab rats in this process. To support my contention, let me give you all this link to review about another more common treatment that was practiced for years with devastating consequences…..http://www.sciencedaily.com/releases/2007/04/070418182417.htm Now I am not saying patients should not work with their doctors but what I am saying is that doctors are humans and only go with the current medical flow that is readily available. If one continues to solely rely on your doctor and what they know or believe and one does not become an empowered patient and begin to do the necessary study to understand your own body, your own telltale signs of what is and what isn’t working or wrong with you, then you are leaving yourself prone to a current system that is flawed….majorly flawed. I NEVER questioned doctors in the past…I question now. They are not Gods and the research community out there are also not Gods. We as patients need to start to stand together, explain what is and is not working effectively and refuse to give up and be pushed into the circle when in fact we might be a square shaped piece in the medical puzzle. It is more and more apparent to me that little is known about how the human body truly functions and medical tests are only as good as they are administered, read, and understood as well as whether they are even the right test for a particular diagnoses. Yes, we are lab rats until someone finally “gets it right”. Agree. Murph is right on the money!! Thank you for this article…in the past year I’ve seen 4 different doctors, awaiting Dr. #5’s thoughts next month. Since I test serum negative – I am discounted or passed to the next type of specialist. Your article gave me hope for the future, so that all can get the treatment they need. LB, You might want to ask your Doctor about testing for RA by running an anti-CCP antibody test. The test is highly specific to RA and 30-40% of sero-negative RA are reported as anti-ccp positivity. It is also believed that Anti-CCP positivity is a good indicator of erosive disease. Good luck in your quest to find a doctor who can help. My husband always says, “That’s why they call it practicing medicine”. I’m one of those people whose breast cancer was found on mammography (no palpable lump, just tiny calcium deposits seen on film). Because of a good breast surgeon, I was recommended to have an ultra sound (showed a suspect area), and an MRI (confirmed suspected area). 2nd biopsy showed a 2nd cancer (more agressive type). 3rd biopsy after mastectomy showed more cancer. All found becuase I went for a routine mammography, hmmm… I’m in the medical field, and strongly believe in evidenced based medicine (just received my doctorate in physical therapy a year ago in May). but, how can I argue with the fact that my cancer was found on a routine screening? Good article Kelly. First, what you do is important and hopefully you are able to keep it up and grow the awareness of the issues that RA suffers are facing. Your work is appreciated. Thanks. Occasionally, posts like this cause concern. We sometimes read anti-science or woo filled posts on this site. These posts hurt our ability to advocate and to help others understand our condition. Patients that pose anti-science or woo based arguments can expect to be ignored best and to be refuted at worst. These medical care givers are (hopefully) trained and educated using the scientific method. Some of the issues with the post include the title of the post. There is no dichotomy between evidence and reality. Evidence is how we humans know reality. Claims or statements without evidence are like ghost stories. They should not be taken seriously. Next, the case of 9/11 workers is only relevant here because it demonstrates the difference between anecdotal and empirical evidence. Advocates claims are being brushed aside for lack of empirical evidence. Empirical evidence gives firm ground for every claim to stand. Whereas anecdotal evidence is unreliable for reasons including biases, later experiences, selective attention to details and others. It is always the case that the burden of proof on the party making the claim. Scientists (on whole) are not against first responders. Scientists are asking first responders to make the case and thus far the first responders have not. Should the empirical evidence show a causal link between the first responders and cancer then scientist would have no choice but to support the first responder’s claims. Now the meat of the post seems to be that many doctors are slow to react to patient needs. These doctors appear to ignore the patient and rely primarily on diagnostic procedures like blood work and imaging. One can read reports from RA sufferers that take years to be diagnosed because the joint damage is not present or the RA factor is low. That is a problem considering that that empirical evidence seems to support that quick treatment leads to the best outcome. So there is a burden on the patient. The patient must be aware of their symptoms. The patient must come armed with empirical evidence and not stories about Aunt Judy who once knew a guy that had a similar thing. The patient must come with description of the type of pain, its duration, and its onset. When and how long does the patient experience stiffness? What is the family history? Are there any other diagnosis? The patient cannot expect to walk in the doctor’s office and have the doctor pull out the tricorder to run a scan and give a diagnosis. Lastly, saying that the science train has not yet come to the evidence-based medicine station is flat out false. What about biologics? What about VNS? But worse than being false such statements erode the patient’s ability to trust and use medicine to their own benefit. Potentially, a patient might give up on evidence-based medicine all together and turn to alternative therapies that are at best ineffective and at worse harmful. Not sure what to make of some of the comments in this post or who “we” are. I could not possibly disagree more about the ways that patients tend to present personal evidence to their doctors with regard to RA and the way that testimony is often treated. There are dozens of posts and hundreds of comments on this site that tell a different story than the one you present. VNS for RA? I’ve read hundreds of abstracts or journal articles with regard to RA over the last year or so and I’ve never seen mention of it. http://www.webmd.com/epilepsy/guide/vagus-nerve-stimulation-vns This does not seem to be a good argument for saying that rheumatology offices have ready tools to use EBM for RA. There are so many statements in your comments that are not right. You say “RA factor” – there is no RA factor. There is a rheumatoid factor, an antibody that was only so named because it was the first to be identified; that’s true. But it’s no RA factor or RA test. A third of RA patients have a negative Rf throughout the course of their disease. Disease activity or progression does not correlate with this test. It is actually a good illustration of what I said in the post: “You don’t know what you don’t know.” Investigators did not know there would be other antibodies found, more specific to RA, when they found the Rf. Biologics? Evidence from the makers of these drugs show that they consistently bring about 50% improvement for about 44% of patients, usually temporarily. At least a third have no clinical response. There is not yet any evidence to show how or why or to whom responses will come or not come. Much more is unknown about how & why they work than is known. There is no anti-science sentiment on this post or other pages you hint about. Science is constantly heralded; this site has consistently supported research and EBM. The problem with RA is that the lack of research on the whole (a tiny fraction of what is spent on lupus for example, a disease with about 25% of the incidence of RA) means that we are not yet at a point in which we can rely on tests to diagnose or treat RA the way we can diabetes. Today, in my long car ride I re-read two pieces that further substantiate what I wrote here, honestly examining the challenges to diagnosis, assessment, and treatment of RA. On the advantages and disadvantages of MSUS. However, what I read was that there is some conflict between evidence and advocacy. Which cannot be true. Evidence cannot take a stance. Another possibility is that I don’t define terms the same as you. I don’t see a difference between EBM and science. Whereas, it seems that you see them as mutually exclusive. http://www.ncbi.nlm.nih.gov/pmc/articles/PMC3037330/?tool=pubmed I have added this link to show that science is working toward a treatment. Not all patients respond to all treatments. That doesn’t mean that “The science train has not yet arrived to rescue RA patients standing at the evidenced-based medicine station.” What it means is that not all passengers will be taken to there destination. Finally, I don’t think that I challenged the notion that there are challenges to diagnosis, assessment, and treatment of RA. I intended to express a fear that people in positions of authority will wittingly or unwittingly advise patients to not trust science or their doctor and then seek ineffective or dangerous treatments. That is not to say that patients should follow the advise of their doctors without thought. Rather, patients should provide empirical evidence to the doctor and demand that it be recognized as such. In that way patients can be their own best advocates. As Jessie wrote in her original article, this will be a “messy discussion” about the application of EBM in real situations. It is especially messy with RA for various reasons, including the fact that Biologics are the most expensive class of drugs and work well in only a minority of patients. However, more than one thing you wrote in your original comment sounded actually insulting. We may disagree about what the facts are or how we interpret them or both. However, when I spend over 40 hours on an article to make a single point, I will stand by it. Please define EBM. I fail to understand how it could be at odds with reality. Please understand that I want a person a passionate as you to stand behind me and support causes that I support. I also want clear and concise logical arguments to support those causes. I don’t see how RA patients like myself can benefit from the idea that there is a tension between evidence and reality. The failure to understand may be mine. However, I want to understand your point. Reality is what is. Evidence is what we see, but we aren’t gods. We don’t see everything or consider everything at once. We don’t even know what it is that we don’t know yet. An example I gave in the post is “germs.” At one time, it was not known what causes infection or how to fight it. Another good example is legal evidence in a courtroom – guilty people can get away with crimes if the evidence is not clear or somehow incomplete or conflicting. I could give a thousand examples, but think of a patient who has a disabled joint and describes the specific symptoms to a doctor who has a mistaken belief (based upon his incomplete evidence or erroneous evidence or incorrect conclusions from incomplete evidence, etc.) that the particular joint symptoms which the patient describes do not exist. The type of evidence the dr is using may vary or the error he makes in handling the evidence may vary; but either way, mistakes are always possible. HOWEVER, with RA, we are not at the point of reliably using the type of objective evidence they use in some other conditions. Drs who rely on tests of any kind are more likely to make errors with RA. Again, if you really don’t understand what my perspective is, I hope you’d read through the posts and articles that are linked as reference and the ones I’ve referenced in comments. As Dr. Pincus argued for the last several years, there IS an objective way to assess an RA patient: ASK the patient about the symptoms. It is as reliable or more than any of the tests in vogue today. And from my vantage point, the patients who get the best care are those whose doctors realize this. Instead of some notion that they can objectively assess a silent patient with their own eyes from across the room (which is very common) or assess him from the labwork in a chart, they know that they have to actually ask the patient about his symptoms. And there is no time or energy wasted trying to talk the patient out of his symptoms. Would you like to hazard a guess how many patients, men included, write to me telling tme their doctors say their RA symptoms must be a result of depression because the lab tests are good? Do we think that diabetes patients have to waste time like this? I doubt it since they can actually measure glucose levels and “prove” their condition. How much time is wasted in rheumatology as it apparently was in your own case? And we are told there may be a narrow treatment window during which patients are more likely to respond well to treatment. But even the ones who do the research and get to a rheumatologist have to somehow “prove” they are telling the truth if they end up with the wrong type of rheumatologist, who is convinced that crp is the only reliable measure of disease activity. Michael, with all due respect, I believe you are missing the point of the post. I fully agree not only with everything Kelly mentioned in the original post, but everything she said in her reply to you as well. It seems that #5 Becky Smith is also in agreement with Kelly. Not that there’s power in numbers, it’s just that the emphasis here is on the shortcomings of science and medicine, not their strengths, and both fail much more often than scientists and physicians care to admit. No question that Kelly goes out on a limb to state what is wrong with our current healthcare system. All those who have been burned by it (it’s really stuck in 20th century clinical practices, excluding specialized technological advances), appreciate those shortcomings and understand that the only way to get proper care is to 1) stay informed and 2) voice their concerns (refer also back to #1 murphthesurf). Finally, note that while we have chosen to be transparent in this sensitive discussion, it has not escaped our attention that you chose to remain essentially anonymous. I took the title of the post as the point of the post. Which simply cannot be true. Evidence creates reality. They cannot be at odds. Like you said, 3 or 30000 people in agreement doesn’t make a truth. In science empirical evidence is what matters. I am curious as to why you would point out that I have remained “anonymous”. Why does it matter who I am in a discussion about the claims of the post? Now that you’ve identified yourself as a serious RA patient, your anonymity means less to me. The concern before was that you were a spammer, or at least had disingenuous motives underlying your discussion points. Re: “Please define EBM” above. Truth be told, you have to have a bit of background in EBM to understand and fully appreciate this post. Not going to go into all the details or nuances of this discussion, but consider one critical point- much of the EBM that is routinely relied on by Docs is from clinical studies by big Pharma, who have repeatedly been shown to lie and cheat to get their blockbuster drugs past the FDA. That multiple drugs are pulled back off the market underscores this point. This is what Kelly means in distinguishing “evidence” from “reality”; in medicine evidence = reality NOT! That Kelly herself understands the extent to which this is true, while many Docs still do not, reflects on the extent of her self-training relative to the Docs formal education. Could I be serious in saying this? Absolutely! I’m in the business of training docs, and know that this and many other important truths may be missing in theireducation. Of course, there are always exceptions, I don’t want to be known for making sweeping generalizations. But there’s no time to get into an elaborate explanation of all the background behind the rationale for this post. I stand behind my tweet of the original posting, which was “Gospel truth”. Gosh all I can think of is maybe you don’t have RA. Or maybe you are one of the lucky few that either a) got a really good doc first rattle out of the box or b)got really good results from the first med you were put on. If either of these are true and it were me, I’d run out and buy a Lotto ticket before you use all of your good luck up. And I’m not knocking you, seriously. It’s just that most of us aren’t on the same boat. Becky, it seems that you are responding to my post. I am sorry to read about you situation. I can sympathize. You put it very well. I have been that person with the dirty house. I have also been the person that cannot properly care for themselves. I have been the person that cannot get out of bed or sometimes get to bed. I have cried, been teed off, and was ready to resign myself to a home. It took almost 2 years, permanent joint damage, stress, and depression to get a referral to a rheumy. Then it took 6 months of MTX before the real relief of my biologic. I am not back to 100%. I don’t ever expect to be. However, I do expect that science will find effective treatments and a cure. Also, it should not have taken 2 years for a referral. My GP kept saying. “You have joint swelling but, your blood work it good, you can’t have RA.” She was poorly trained dispite having 2 rheumy’s in the same building. However, when I took a print out of a chart with a 10 point scale to the doc. I showed her the evidence. Then I got my referral. Woo is a claim of a product, service, or practice that gives not real results. Like when you are watching those late night info-mercials and there is a demonstration and the audience goes, “woo” at the results which are not representative of true results. I will apologize for saying maybe you don’t have RA. Of all things, that should never be said. Even with the excuse that your reply to the article lead to me think that, because of what we go through to be diagnosed should have excluded it altogether. I am sorry it took two years to get treatment. You must be sero-neg, I am as well. If I am reading the article right, I think what is being said is that too many times we are ignored because too many doctors want to go by a diagnosing criteria that is not addressing patient responses. If we say our pain level is still high despite being on different drugs and the fact that our labs don’t support it, most will not believe you. If they can’t see it, touch it or read it in the labs, it MUST NOT be there. No swelling, no pain. They will acknowledge that RA travels from joints to joints, never knowing which ones it will be that day(although my RA has some favorites! )so basically unless you are lucky enough to have a bad flare when you are due at the Drs, it didn’t happen. Anyway, I am preaching to the choir here! Why should science step in when there isn’t a hue and cry that more research is needed. I’m with Kelly that if we can’t get validation from our own care givers then we have to find a way to get science to notice us. Is it because drug companies don’t want to acknowledge their wonder drugs aren’t as effective as touted?? I don’t know. Is it because the doctors don’t like to admit their treatments aren’t effective, does that reflect on them some how?? In my experience, my dr acted like, hey I have given you drugs now that we have proved you have RA, be happy. His actual words were,”I can’t believe it’s not helping you more. Well, next step is injections.” That was after 6 mos of MTX, just didn’t help me. If there was more research allotted to find out why some are sero-neg, some positive, some have normal labs while the disease is very much active, it might point the way. To find out why we all react so differently to the medications. To find out why fatigue is such a big issue(this bothers me almost as much as the pain). This is a ghost disease, not many know about it and you can’t see it until the damage is done. Most important to me is that public opinion is so misinformed. Going by my personal experience, I’m a long, long way from bowling again, just the thought of lifting a ball with my fingers makes me queasy. But according to the commercials if I just go on one of these drugs, that could be me next weekend. So I do have a hard time believing that they will find a cure, not unless we can bring more awareness to this disease. Hats off to you, I’m just not an optimist anymore. But if they at least find better treatments, that I can live(and live better!!) with. Becky, many of our readers or commenters are not RA patients. It was reasonable to wonder why a person did not seem to understand the patients’ viewpoint. Your comment does mention several issues that I did have in mind while writing. As I said, I could go on for many pages giving specific examples (that’s why there are hundreds of pages here). My first rheumatologist insisted I did not have RA because my blood work was negative. He had an excellent reputation locally but his idea (and I think many doctors and scientists’ ideas) of evidence based medicene is to base their decisions on “hard data” like blood tests and xray evidence neglecting patient reported and therefore more subjective information like pain and stiffness. He took no xrays and told me I had fibromyalgia and OA. I got very little treatment and got progessivly worse until I sought a second opinion from a rheumatologist who did do xrays – no OA – and did pay attention to my reported symptoms – and did treat me. I’m on MTX now and getting significant relief. So much for the fibro diagnoses. I think your definition of EBM includes the patients reported symptoms but I think that a lot of doctors don’t because of the subjectivity. They want those hard numbers and an easy lab test that will give them an easy yes or no. They are also looking for testing that will give a treatment guide to show effectiveness – if the inflammation markers are reduced but the symptoms are not that is frustrating for everyone. For many of us with RA, the hard tests don’t reflect the reality of the disease. Only our subjective symptoms reflect that reality. Our doctors have to be open to hearing that reality not just the hard numbers. I am happy to hear that you are experiencing some relief. The rheumatologists in my area all require a referral before setting an appointment. My PCP told me more than once, “You can’t have RA because you don’t have the factor in your blood. But, you have all of the symptoms.” The result was no referral to the rheumy for me. Eventually, I was referred by an orthopedic hand surgeon. It took all of five minutes for him to say. “I am not diagnosing you with RA but that is what I think you have.” No blood tests, no x-rays. He and asked questions and carefully listened to the answers. The ortho and my PCP had the same evidence. Did the ortho go against reality? I don’t think he did. What he did was to consider all of the empirical evidence. I agree with you that neglecting the patient’s experiences is neglecting evidence. You are correct when you say that I think that patient experience be considered empirical evidence. A doctor ignoring patient reported symptoms is not a problem with the evidence. It doesn’t put evidence against reality. It is an issue with the doctor(s) discounting real evidence. There is nothing scientifically pure about any of the items in your laundry list of data for which you find patients responsible. Historical information can be unknown or forgotten; pain metrics are subjective; descriptions of symptoms are subject to the vagaries of articulatory skills; etc. In theory, evidence-based medicine (or practice, or independent decision-making) tends to minimize anecdotal input or opinion, but consider it nonetheless. In many real-world instances, anecdotal patient input conflicts with EBM data, which I understand to be a key point of the original post. This does in fact, constitute a dichotomy of available data. Often, a decision is made to dismiss non-scientific data in favor of the “empirical evidence” based on your very argument that evidence = reality. The problem with accepting EBM data as the only “reality” is addressed very succinctly in Bob’s posts. Further, it’s my opinion that empirical evidence is a moving target where RA is concerned, because so much is unknown. In the world of RA research, the earth is still flat. So the choice to dismiss patient input because it conflicts with current “science” on the subject is a flawed decision. I see this as another key point in Kelly’s post … and I have to wonder why you don’t agree with me when I read your story of diagnosis and early treatment. And as an aside, while “woo factor” may be a currently catchy term in a marketing environment, it does not serve you well in this context. I’m thinking you feel that some posts and/or titles are designed to evoke emotion; I interpret differently – I feel Kelly tries to give voice to the emotion that is already there on behalf of RA patients who have shared their stories with her. That’s what advocates do. 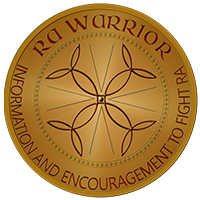 I have RA and I am motivated to help improve my situation and thereby help others with RA. To that end I wrote and honest critique of an post on this website. I thought that I might be invited to do so because my “comments are an important resources for future readers of this post in the months to come”. I expected challenges my arguments but I thought we could have an honest conversation. However, that doesn’t seem to be what I got. The responses included a big medicine and big pharma conspiracies. My motives came under suspicion. It was suggested that the situation is too complicated for me to understand after reading one post. Also, it would take a long time to comprehend Kelly’s depth of knowledge. It was suggested that it might be hard for me to understand because there was special knowledge to which I was not privy. One response was the argument from ignorance. Another response was an argument ad populum. These responses where disappointing. RA suffers want passionate defenders on their side. They deserve defender that will use there energies to make logically sound arguments and tools of science. After all reason and science is what will sway scientist, doctors, and policy makers. The fear I have is that passion without reason would lead to my defenders screaming at brick walls. Which judging by the responses to my critique is what is happening. I guess readers can decide for themselves, but it doesn’t seem that any replies to you are any more heated than your own comments. I think when you post them, people take that as an open door to discuss or argue various viewpoints. We should challenge one another. We must improve the arguments we use in lobbying for research funding and physician education. I think an honest, open discussion is exactly what is happening here. When you have that kind of discourse people will disagree. Ok, your point is that you would like the focus to be more on empirical evidence and less on emotional response or perception of the illness or antedoctal evidence. Well, maybe I need you to further clarify your point because I may not be getting this right. Any way, I don’t always agree with Kelly or with everyone who posts. I doubt that anyone here always agrees with with all of the other views expressed. Respectful disagreement does seem to be permitted here. But keep in mind that you are talking to a lot of folks who follow the blog regularly and are likely going to be much of a like mind. Michael, Instead of looking to Kelly to stand up for RA’ers in a manner you believe is more effective, why not pick up the gauntlet and do it your way It’s easy to poke holes here and there, but who is doing the heavy lifting? 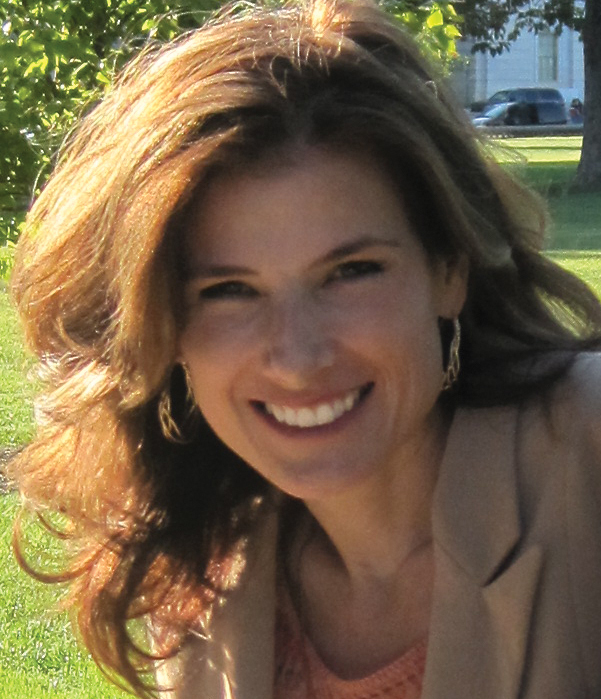 Kelly is advocating based on her own experience, research and belief. If you belief otherwise, drag out that PC, build a website, get writing/researching, and go for it. now, not another word until you go do your homework! Judy, at this time last year every morning I was trapped in my bed by RA. Well, it is more accurate to say that I couldn’t get out of bed until my body loosened up. That would take between 30 and 45 painful minutes. By contrast, three years ago I would get out of bed every other morning and take a walk. Which was disappointing because seven years ago I used to take my bike out before and after work and ride for about an hour. A year ago my two pre-school girls didn’t have a daddy that could play to play outside with them. My wife didn’t have someone that could help care for the house. Moreover, she was afraid to touch me because each time she did I made a sound that scared her. Altogether, I think my experience with RA is sufficient. In fact, I don’t want anymore experience with RA. I’d like to be done with this disease. I hope that in the future you take the time to be more considerate toward your kids before brushing them aside. They might have some insight. My kids have tremendous insight – better than most adults, with the youngest typically offering the most. After homework, they can actually have an informed conversation on the topic they were working on. Don’t insult me by stating I lack consideration for my children – you don’t know me. I know you only by your writing, and what you have written appears as if it needs to be better informed – you are accusatory and blaming someone else for not advocating for you as you see fit – I’m suggesting you get up and advocate yourself, if you don’t like another RA’ers approach. We’re not comparing diseases here, so why tell ME how tough your life is…if the level of disability is a gauge of how much we are allowed to remain ignorant and petulant, you are likely outnumbered and outdone (if you read, as I recommended, a healthy number of posts on this site, you might realize that your ability to rise out of bed within an hour – or at all – makes you one of the “lucky” ones.) Again, stop the mud slinging and go inform yourself FIRST. I spent 6 years undiagnosed, thinking I was going mad because of doctors fixated on blood test results. I had two operations on my hip and a ton of steroids but no-one could explain why a healthy twenty something was crumbling. The nurses and physios I saw all said it must be auto-immune arthritis because my symptoms were so classic but the doctors were dogmatic. If I didn’t have raised ESR, I couldn’t have arthritis. Finally, I had an ultrasound and was moved to a research centre where they know that having negative bloods or little swelling doesn’t equal no arthritis. A good doctor means not having to worry about proving you are ill!